The WordPress donation solution for Indian non-profits. With Charitable and PayU Money, Indian non-profits can accept donations on their website. PayU Money is the perfect choice for Indian non-profits that want to accept donations from local supporters. Getting started with PayUMoney is quick and easy. PayU Money has no setup costs or hidden fees. 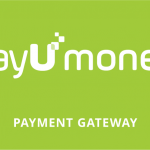 Join 90,000+ merchants collecting payments using PayUMoney. Not convinced? Check out PayU Money’s website for more reasons why you should use PayU Money. Start accepting donations with Charitable and PayU Money. 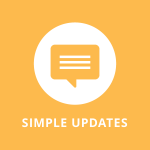 Simple Updates: Share updates about your campaigns and display them in a widget, with a shortcode or a PHP function. 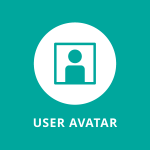 User Avatar: Add a community feel to your website by giving your donors the ability to upload their profile photo. Anonymous Donations: Let your donors support you without having their name listed publicly. Just want to use PayPal to accept donations? Download Charitable for free. I’ve been with these guys since they created the Franklin theme (3 years) and this plugin is great and filling a niche that was being overlooked. But best of all is the incredible customer support that comes along with it. Best money our non-profit has spent! Thanks Eric & Wes! Charitable makes it super easy to create fundraising campaigns. Install, activate and create your first campaign in less than 5 minutes. With Charitable, supporters can donate to your cause on your website. Accept PayPal or offline donations out of the box, with other gateways available as extensions. Unlike other fundraising software, we never charge you transaction fees. You can start using Charitable for free. Charitable has been built to work with any WordPress theme, giving you the freedom to choose. One size does not fit all. That’s why Charitable has a growing library of powerful extensions. We are committed to Charitable and its users, so you can expect top-notch support. PayUMoney is the perfect choice for Indian non-profits that want to accept donations from local supporters. Let your donors support you without having their name listed publicly. Share updates about your campaigns and display them in a widget, with a shortcode or a PHP function.